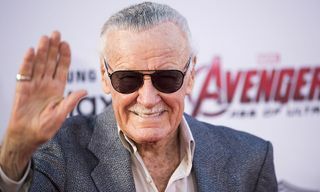 Stan Martin Lieber, more famously known as Stan Lee, the public face of the Marvel empire, has passed away. The final chapter has closed for comic book connoisseurs and fans of the Marvel Cinematic film franchise. Lee’s death sent shock waves through the entertainment sphere, affirming the significant influence of Lee’s impact upon the fabric of American culture. At 95 years old, his work has spanned the length and breadth of the societal transformations that have shaped America over the better part of a half century. 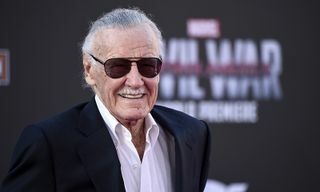 Reacting to Lee’s death, many from the entertainment world responded with condolences displaying the enormous reach of Lee’s artistic contributions. Along with actors, many hip-hop artists have paid tribute to Lee since the announcement of his passing.  Questlove, Thundercat, Travis Scott, and others have publicly shown their affection and deep appreciation of Lee’s imaginative exploits all across social media. The outpouring of love from the hip-hop community further cements Lee’s undeniable influence upon hip-hop culture. 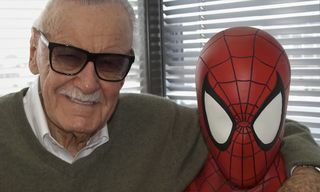 Born in Manhattan, New York City, the genre’s birthplace, Stan Lee had dreams of being a writer since his adolescence. After a stint in the Army, he got his big break in the business in 1939 when he landed a job as an assistant at the newly established Timely Comics, a division of Pulp magazine, founded by publisher Marin Goodman. By the 1960s, Timely would evolve into Marvel Comics. 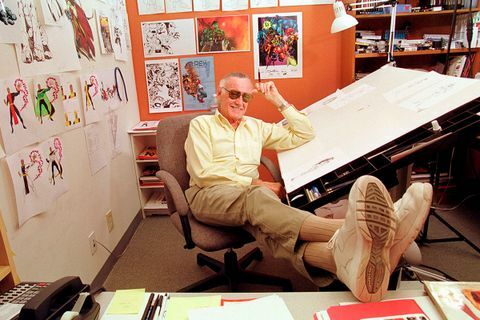 At Marvel Comics, Lee created or co-created Black Panther, Spider-Man, the X-Men, the Mighty Thor, Iron Man, the Fantastic Four, the Incredible Hulk, Daredevil, Guardians of the Galaxy, Ant-Man, and countless other characters that would come to define the Golden Era of Comics. With Lee’s ambitions – and that of his partners Jack Kirby, Steve Ditko and others – he literally transformed Marvel from a small division of a publishing house into the world’s number one publisher of comic books and, eventually, a multimedia conglomerate. Lee’s truth telling is incredibly poignant and is still relevant today. His critique of racism, during an extremely strenuous time for race relations in America in the 1960s, was a foreshadowing of his understanding of the power of black culture which he subsequently reflected in his work for years to come. 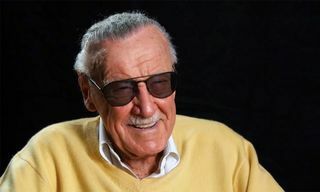 Since its inception, hip-hop has been inspired by the personas and narratives within the pages of Stan Lee’s comic books. Not only was hip-hop greatly influenced early on by Lee’s superheroes, vigilantes, and villains, but the connectivity has only grown in recent years. Numerous rappers have appeared in their own comic series and Marvel has released several rap-influenced album covers, recreating classic album images by utilizing Marvel characters. 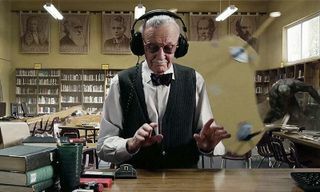 Hip-hop music is replete with references and images of Stan Lee’s characters in the discographies of the various artists. In fact, many have fully adopted the personalities of Lee’s characters as their own; West Coast alternative rappers The Souls of Mischief name drop villains Colossus and Magneto on their debut track “Let ‘Em Know” in 1993. Philadelphia underground rapper The Last Emperor gives a lyrical exposition on his track “Secret Wars,” named after a limited Marvel comic series. Ghostface Killah aka Tony Starks, released his first album Ironman in 1996 and utilized the cartoon’s theme song from the 1960s on his sophomore album Supreme Clientele. Also, “Slept On Tony” from 2008’s GhostDeini The Great album, appears in the Iron Man movie. In the late ’90s, renowned New York indie MC Jean Grae changed her name (originally known as What What?) to identify with the powerful mutant with telekinetic powers from the X-Men. In 1999, David Banner is not only the name of the Mississippi MC, producer, and activist but also the name of The Incredible Hulk’s alter ego in the legendary TV show that ran in the late ‘70s to early ‘80s. 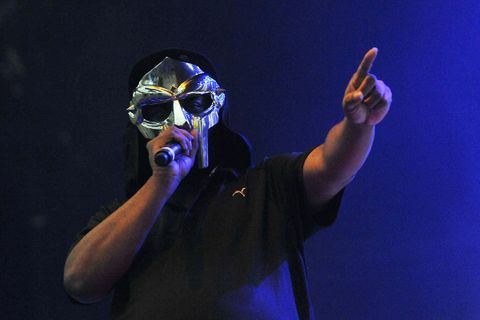 Even across the pond, British-born DJ and producer Daniel Dumile, famously known as MF Doom, always rocks his trademark mask, taking his name from Dr. Doom. Fast forward to the present and Grammy award-winning rapper Kendrick Lamar curated the soundtrack of the box office smash Black Panther to critical acclaim, further strengthening the inextricable link between the Marvel universe and hip-hop music. 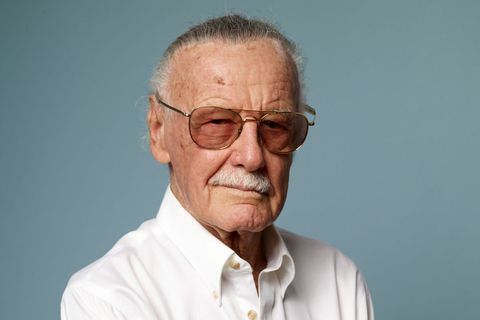 Stan Lee will always occupy a special place in hip-hop. His progressive imagination, revealed in his characters and later having his stories adapted in films, will preserve his legacy for generations. The evolution of Marvel under his long tenure parallels the expansion of hip-hop. As the Marvel Cinematic Universe became one of the most well-known action/adventure film franchises, hip-hop grew into the preeminent cultural expression. Lee reimagined the world through his art just like the hip-hop artists who collected his writings and packed theaters to watch the films that his characters inspired. 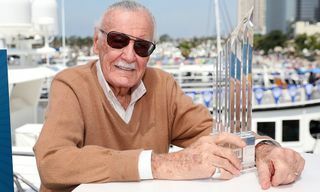 Comic books geeks and hip-hop aficionados alike are indebted to the vision of Stan Lee.